Lance Stroll was delighted to return to the points in what marked a strong weekend for the Williams F1 team at Monza. Lance Stroll was thrilled by his return to the top 10 at the Italian Grand Prix, admitting he “almost forgot what it felt like” to score points in Formula 1. 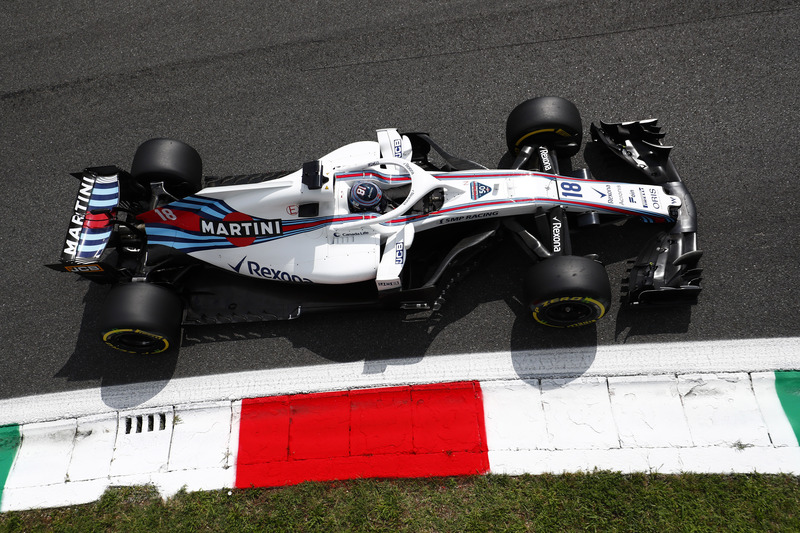 Williams has endured a torrid season so far but enjoyed better fortunes at Monza, as Stroll claimed the Grove-based outfit’s first Q3 appearance of 2018, before finishing Sunday’s race in 10th. He gained an extra position following Romain Grosjean’s post-race disqualification and was delighted to have scored just his second points finish of the year and his first since April’s Azerbaijan Grand Prix. “It’s very satisfying,” Stroll explained. “I almost forgot what it felt like to score a point. It’s been a tough run. It’s going to sink in later and we will definitely celebrate in style. “I’ve had my eyes on this one for a while. I knew we were going to have a tough run with the car’s performance but I was eying Monza and I said to myself if we can nail it in Monza, there’s potentially a good result up for grabs. “And we did it this weekend. We nailed it in qualifying. We had a good slipstream, I put my lap together. And in the race, it was steady with no mistakes. We come away with a P10 which is fantastic. Stroll praised the job done by his Williams team and believes the British squad was rewarded for getting every element of the weekend right. “I think it’s one of those weekends where we just did a really good job operationally,” he said. “On a track like this, every driver is looking for the slipstream, there’s so much more to it than just going out, doing a lap and getting the pace out of the car. “There’s a lot to do with slipstream and downforce levels and stuff. Here this weekend we just did a great job operationally. In qualifying, as I said, I put my lap together. “Then in the race, a trouble-free race and I had a good start again where I made a few places – I was up to eighth I believe. No lock ups, stead pace and managed my tyres." Teammate Sergey Sirotkin finished 11th on the road but was promoted to 10th following Grosjean’s exclusion, meaning Williams achieved its first double points haul of the campaign to cap off a strong weekend. The result also marks the first time in F1 history that every driver on the grid has recorded points.